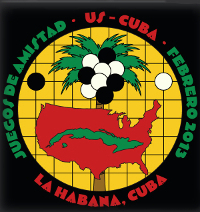 A delegation of Cuban go players has been invited to attend this year’s U.S. Go Congress for the first time and AGA board member Robert Gilman is coordinating fundraising efforts to support the visit. “The Cubans have greeted our invitation with ‘immense joy’,” Gilman — who organized the 2013 visit by US players to Cuba (Traveling Board: U.S.-Cuba Friendship Match “A Rare Opportunity”) — reports, “but the key question is money. 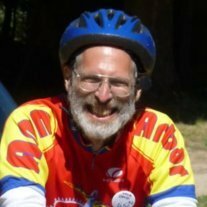 Cuba is a poor country, the Cuban internal currency is worthless in the U.S. and the AGA does not have the budget to sponsor the delegation, so we’re asking the go community to step up. Cubans have made strong efforts to develop go there, but isolation from the international go community and limited internet have handicapped them. This visit will help them develop and extend bonds with our neighbors to the South.” The invitees are Cuba’s top two players and the president of the Academia Cubana de Go. The video here describes this effort. Contributions can be made through either the AGA or the American Go Foundation (AGF); contributions to the AGF are tax deductible. 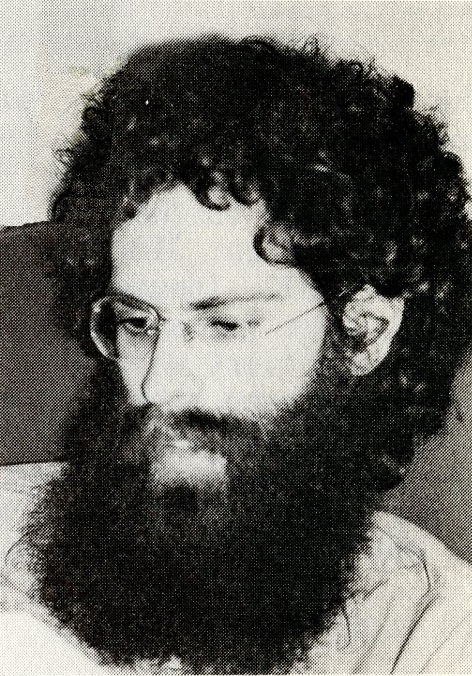 In either case, put “CC2014” in the memo field, and mail the check to Gilman at P.O. Box 40020 in Albuquerque, NM 87196-0020. Checks will be acknowledged as they are received but not cashed until its clear the project is a go. If you are contributing, please complete the form here. Croatia: Lovro Furjanic 1d bested Zoran Mutabzija 5d at the 2. Velika Gorcia Open on January 12 while Mladen Smud 1k placed third. Turkey: The Istanbul City Championship Finals finished on January 4 with Ozgur Degirmenci 2d in first, Mustafa Morca 2k in second, and Hayri Killic 1d in third. Ukraine: Andrii Vdovin 2d conquered the 2014 Championship of the Dnipropetrovsk region on January 5. Kostiantyn Lopatenko 2d came in second and Volodymyr Oblovantyi 1k was third. Black to play. Both sides must find a clever move for optimal play. The first move is relatively easy, as White lives easily if Black plays any other move. Published in the January 17, 2014 edition of the American Go E-Journal. This bonus tsumego is just one example of the material, including pro game commentaries, available to Member’s Edition subscribers. Click here for more on how you can sign up today. Michael Redmond 9P shares with the E-Journal some of his own tsumego compositions. 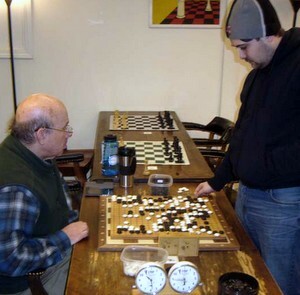 For these more challenging problems, dan players can test their reading speed and accuracy, while kyu players can play through the solutions to learn ideas and techniques. Michael based this problem on a very similar position that arose around move 63 of the just completed 1st game of the Kisei championship match in Spain. 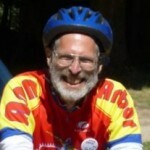 Click here to see the game record. 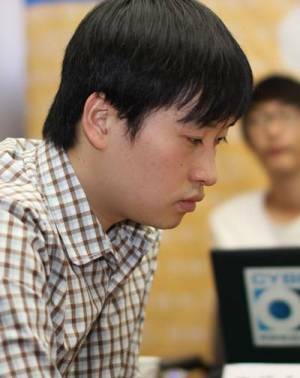 Cho Hanseung 9P successfully defended his Kuksu title against Lee Sedol 9P on January 13 in Seoul, Korea. This gives him the title for a third consecutive year, as he overcame Choi Cheolhan 9P in the two previous editions. 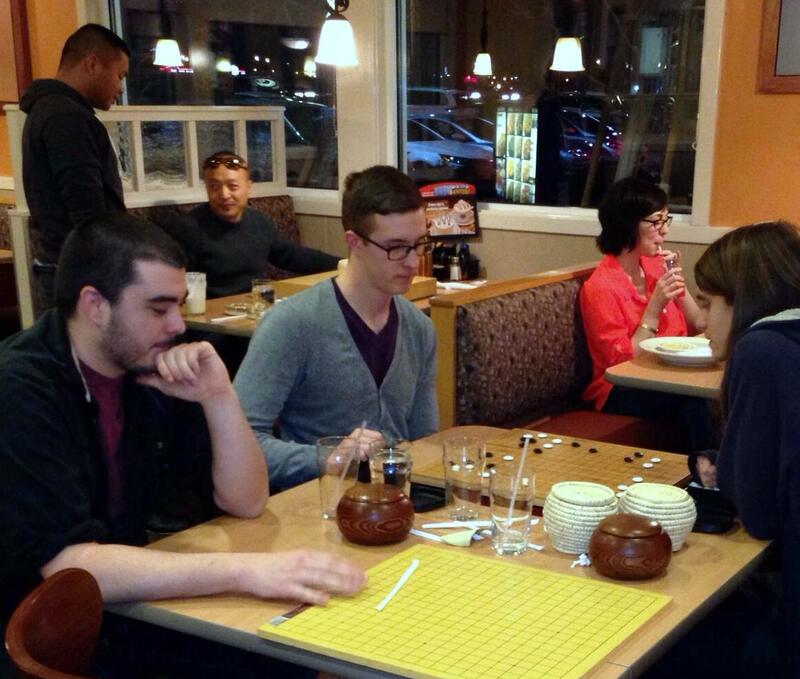 Cho (left) took the first match of the best-of-five clash and then extended his lead to 2-0. Lee fought back in the third round, narrowing the gap to 2-1, but the fourth game proved to be the decider. Cho’s play was clinical. Holding black, he established a strong position in the early game. 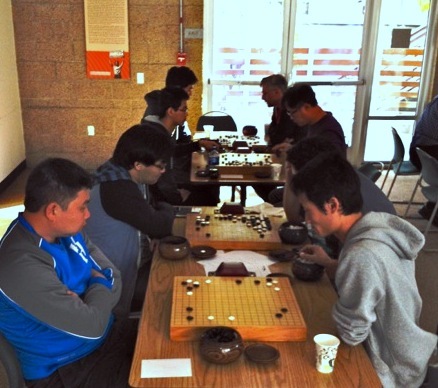 Lee tried to reduce, but with solid play, Cho maintained his lead throughout. Professional commentators were left somewhat bemused, as it was difficult to find any mistakes in white’s play, a testament to the calm strength shown by Cho in this match. The victory extends a healthy rivalry between the two players. They know each other well, having achieved professional status in the same group in 1995. Lee remains ahead in wins (23-17), but Cho is now ahead 2-1 in finals. Alex Panaccione won all four games to win the January 12 MGA Winter Tournament. Twenty eight players turned out for the event, which was directed by Eva Casey with support from Eric Tillberg, whose entry fee was waived as a result. “I hope others will begin to learn the ropes of directing this way too in upcoming tournaments,” says Casey. Tillberg took third place and Graham Higgins was second. Click here for more photos.